If you are a student undertaking an Art, Design, Engineering, or other Technical Drawing related course, finding all the equipment you need to complete your course can be time consuming, confusing and expensive. Likewise, if you are a tutor or technician running an Art, Design or Engineering course at a college or university, buying all the equipment and materials for your students can be a big task, and expensive too – especially with budgets that only seem to get smaller every year! The solution? – Student Equipment Kits. Student Equipment Kits allow you to buy all the essentials you’ll need for your course in one practical kit, at a discounted price compared to purchasing all the items separately. 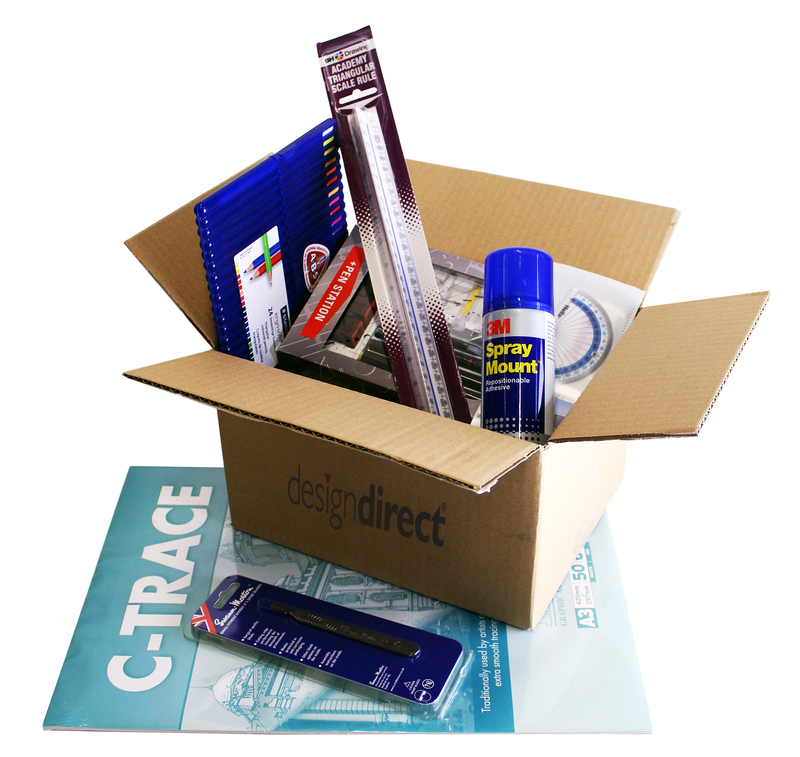 At DesignDirect, we offer a range of ‘off-the-shelf’ kits for a variety of courses such as Architecture, Garden Design and Construction. These kits are made of the most popular items used by students doing these courses. However, if these don’t contain the items you’re looking for, you can go for a Bespoke Student Kit containing the specific items that you require for your course. If you are ordering for a college or university, we can upload your Bespoke Kit as a product on our website so that your students can purchase it directly from our website. Alternatively, we can process as a bulk order and deliver all kits directly to the address of your choice. Bulk discounts are available – please contact us. If you are interested in a Bespoke Student Equipment Kit, get in touch today to request a quote! Just list the items that you would like in your kit and please remember to give us a note of the quantity that you require.